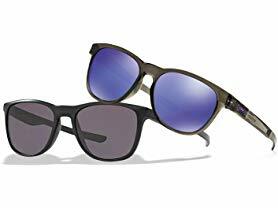 Today ONLY - Oakley Sunglasses $59.99 - $66.99. Oakley Oakley Stringer -Shaped with the curves of rounded lenses for a classic lifestyle look, this new creation got its name from the smooth center line that runs down surfboards, and the stems follow that pure approach with clean contours of sculpture. Oakley Trillbe X - Designed for small to medium faces, this comfortably lightweight addition to the Trillbe™ Collection has a softly rounded front with a sculptured keyhole bridge, and its stem architecture takes vintage style into modern territory.